The most amazing USB keyboard controllers you have ever seen with Panorama DAW Integration and advanced generic MIDI capabilities. Powerful desktop MIDI USB controller functionality including Panorama DAW Integration in a compact form factor. Powerful Panorama-class performance MIDI controllers with full VST/AU instrument plugin control in any DAW, 2nd Gen keyboard with 49 or 61 keys, aftertouch, note repeat, great pads and Nektar DAW Integration. 88 note semi-weighted MIDI controller keyboard with 8 pads, Nektar DAW integration for 11 DAWs and master keyboard features. 61 & 49 note USB MIDI controller keyboards with 8 pads and Nektar DAW integration. 25 note DAW controller with the same powerful DAW integration as it’s bigger brothers, in a compact form factor. Deceptively simple, the Impact GX49 & GX61 keyboards are for those who don’t need lots of controls. Even so, they feature Nektar integration for 1 DAWs on Mac and Windows. Our most compact MIDI controller keyboard with 25 mini keys fits in any backpack – and even includes DAW control. Just play: Entry level controller with full-size keys and all the features you need when starting out. Includes basic DAW control. Hands-free MIDI and DAW control with the Pacer MIDI DAW Foot Controller. Integrate your DAW, MIDI-gear, FX and amp with plenty of switching power! Harmonics Synthesizer plugin for Mac OS and Windows DAWs. 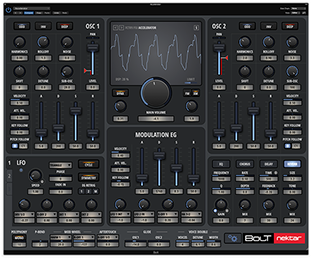 Compatible with VST, VST3 and AU. Experience the speed of new sounds – literally! Solid universal foot switch and expression pedals. Connect to all standard sustain or switch sockets. Switchable polarity.